Home » » Completely painless! I had the procedure done a week ago and I can honestly say it was completely painless! Jane prepped me before and answered any questions I had and made sure to calm my nerves. 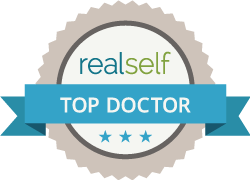 Dr. Chynn is very knowledgeable, confident and available. The entire team was quick to reply to any texts/calls I made (at all hours) to answer all my questions during my first week of recovery. Other than a little bit of dryness, my eyes feel fantastic so far! I’m going in now for my first follow up visit to see my progress. I highly recommend the procedure at Park Avenue LASEK! Dr. Chynn will personally answer each and every question! Your free consultation will include all the information you need to make this very important decision, call us today! ...offers you the opportunity to have a Free Remote Consultation with the surgeon! Ask Dr. Chynn your main question or concern, and will answer, personally, within 2 business days! Unsure whether you're a good candidate because of a lot of astigmatism? Large pupils? Dry eyes? Maybe you were rejected by LASIK surgeons due to a “thin cornea” or high prescription. But please be considerate. Dr. Chynn gets paid $1,000/hour as a consultant for expert networks & expert witness, so please limit yourself to your most pressing question or concern, as he’s doing this for free on a trial basis to help interested patients. Please include the information below in your email so Dr. Chynn can answer your question specifically.